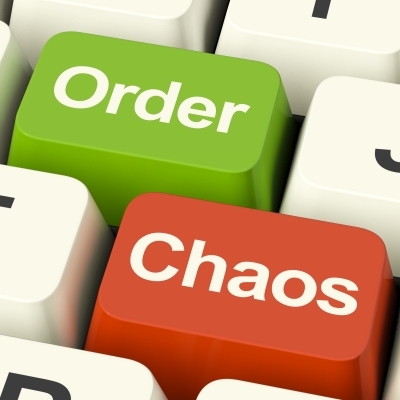 Has Being Disorganized Cost You Jobs? Have a place for everything and put everything in its place. Has your mother ever said this to you? It’s good advice. You can waste a lot of time looking for things, and when your space is organized, it is easier to be productive. Have a to-do list. Lists are a great way to organize your time and to make sure that you’re not forgetting anything. You can even create daily, weekly and monthly to-do lists. Have a set time to do your daily tasks. When your schedule is predictable, it makes it a lot easier to stay organized. When you are looking for a job, there are certain tasks that you will need to do every day. It’s a good idea to do these tasks at the same time. For example, you could browse the job sites in the morning, and set networking meetings and appointments for the afternoon. Keep organized files of your submitted applications. Since you are customizing your resume and cover letters, it is important that you know exactly what you communicated to each employer. Otherwise, you may have an embarrassing moment where you mention an experience that you did not include in your resume. Keep a file of every application that you submitted, along with the job advertisement, and if possible review it before you speak to the employer. Keep your sent messages. Another way to keep records of submitted applications and correspondence with employers is to keep all of your sent e-mails. If your e-mail system doesn’t keep sent mail automatically, research your settings and figure out how to do it. Sometimes it can be useful to remember exactly what you said to the employer. Create a space where you do your job search. It’s a good idea to have a “mission control” for your job search. It is much easier to keep organized when you are doing all of your job searching in one place. This makes it easier to find the things that you need, and you can take the time to set up your workspace so that you are comfortable and efficient. It doesn’t have to be a whole office, even a small desk or the corner of a table is sufficient as long as you have all of the materials that you need. Set clear goals. You won’t get very far in your job search without specific, measurable, achievable, realistic, and time-specific goals to guide you. Your goals will help you to stay motivated, and will prevent you from getting too far off track. Find your own system and stick with it. Everyone is different. A strategy that works for one person, may be completely unworkable for another. Find a system that feels right for you and go with that. Get started! Some job seekers spend so much time getting organized, that they forget to actually look for a job. It’s okay to spend a few hours organizing, but remember that you don’t get interview calls from cleaning your office. Next Article My Co-workers are all Leaving! I completely agree with your views of crafting a strategy of becoming more organized while searching for a job just to work more smartly rather can wasting efforts and valuable time. Power Keywords and crafting the resume to ensure that your skills-sets standout from the rest so that your get best results.